The championship, as usual, was opened by Novice category. All 12 teams showed wonderful performances. However, the first place with advantage in 6 points took Saint-Petersburg’s team Sunrise -2, who finished the competition with their season-best score — 83,18. Their technically and emotionally strong performance brought them their fourth victory at the Nationals. The second place came to Junost — Novice from Ekaterinburg. The team performed their interesting program nice and earned 77,95 points (season-best). Even despite two offensive falls in the intersection, team Kazanochka from Kazan showed emotional, cheerful skating and finished at the third place with 75,67 points. In the Junior division, there was a bright bunch of the amazing performances. The first place confidently took team Junost from Ekaterinburg, earning 85,93 points. The team showed the passion of the Spanish dance Flamenco and lighted a fire in the hearts of the audience. Such an interesting move was taken by Moscow’s team Crystal Ice Junior, who decided to change completely their short program just the month before the Nationals and took their last season program again. Nevertheless, the athletes performed well and despite a little fall took the second place with 81,48 points. The third place was for the team Sunrise — 1 from Saint-Petersburg, who earned 77, 70 points. 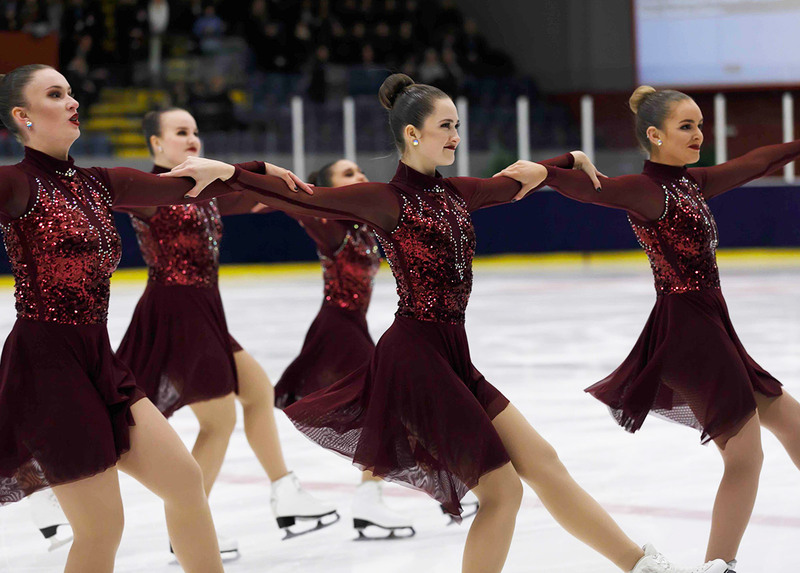 The team performed incredibly beautiful program on the song “This is me”. Five points separated the Kazan’s team Idel from the podium. However, the skaters showed soft and so tender skating. Idel came the fourth with 73,54. What about the Senior teams? As the traditions go, the first place took team Paradise from Saint-Petersburg with 90,22 points. The team demonstrated a high professional level. The athletes were skating as if flying above the ice without touching it. There was a tight struggle for the second place in this category. 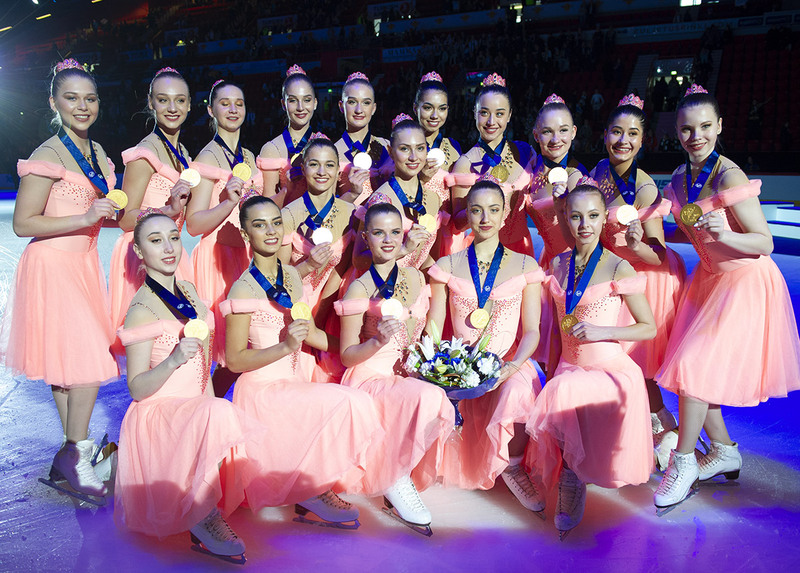 The “young” team Crystal Ice Senior from Moscow, who performed at the Nationals just for the first time, have improved significantly from the beginning of the season. The team showed speed skating and took the second place with 79,88 points. Less than a point separated team Tatarstan from the second place. The team performed smooth skating and warm feelings. Their tender dresses were perfectly coupled with music. Even the fall didn’t prevent the perception of the program. As you see, the first day of the Russian Nationals was full of bright moments. Now we’re looking forward to seeing who will, finally, grab the lead in the Junior and Senior divisions. Hi everyone! I've been skating in Team Junost' for 4 years! As a member of the team I became two times World Junior Champion and won Nationals twice. I'm also multiply winner of the international competitions. Аs I want to tie my future life with Synchro, i'm studying international relations now. I'm really excited to be a member of Jura Synchro and contribute to the development of this brilliant sport!